Wednesday, March 15, 2017 – Highlands, NJ –Alex Job Racing driver Frankie Montecalvo is ready to compete for his first class win at the 65thrunning of the Mobil 1 12 Hours of Sebring. 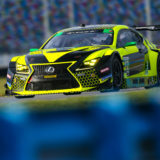 Montecalvo completed a productive test with the Alex Job Racing team and co-drivers Bill Sweedler and Townsend Bell three weeks ago, and is poised to race for a GTD Class win at the 3.74-mile Florida circuit. “It’s always such a privilege to come back to Sebring for the 12 Hour. 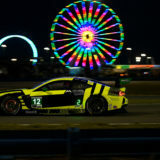 It’s a very physically demanding race on the car and driver, and it’s just as hard and tough on the driver and equipment as the 24 Hours of Daytona. This is one of those events where it could honestly be anybody’s race,” explained Montecalvo. 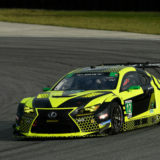 Montecalvo has battled for class wins in the PC category in years past at Sebring, and even finished second in class in 2011 with CORE Autosport. 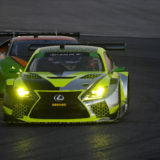 However, Montecalvo hopes to see his first 12 Hours of Sebring victory on Saturday. 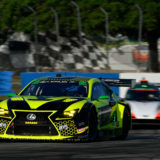 On track action for the 65th running of the Mobil 1 12 Hours of Sebring begins on Thursday, March 16 through Saturday, March 18. The race starts at 10:40 AM EST on Saturday. You can watch Frankie race LIVE at 10:30 AM on IMSA.tv or the Fox Sports Go App (with Fox Sports 1 authentication). Live Broadcast coverage begins on Saturday at 12:30 PM until 11:00 PM on Fox Sports 1. Don’t forget to follow Frankie on Facebook, Twitter and Instagram for all of his racing news throughout the weekend!